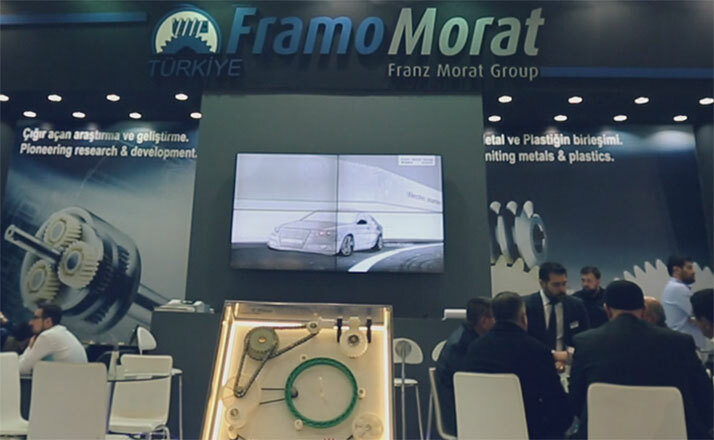 We are happy to announce that we are ready to present our diverse product range in the fields of gear & drive technology at the WIN Automation in Istanbul. On top of exhibiting our most recent custom drive solutions for various industries, we look forward to presenting you our brand new planetary gearbox series. These new low-backlash planetary series allows us to cover the entire spectrum─from high-end transmissions in flange, inline and angle designs through to economy transmissions. One thing is shared by all new series, however: Fulfillment of the highest quality thanks to helical cut components. Located in the center of Asia, Europe and the Middle East, WIN Automation in Istanbul is a crucial networking hub that brings together manufacturers and buyers from different continents. Known as the most important manufacturing industry exhibition of Eurasia, WIN Automation offers a compact view on the manufacturing process in combination with automation, hydraulics & pneumatics, electronics and material handling. We look forward to giving you a warm welcome at WIN Automation (15 – 18 March, 2018) on our booth D-210 in Hall 3.